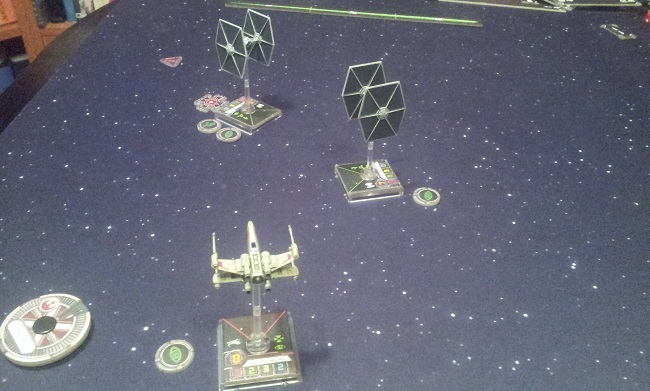 Riding on the wave of Star Wars excitement ive played my first x-wing game this week. It was great. Its true that it is easy to pick up and learn but also have a depth and complexity that makes it difficult to master. In other words a perfect formula for an entertaining and engaging game, especially when you add the flawor of such an rich universe. 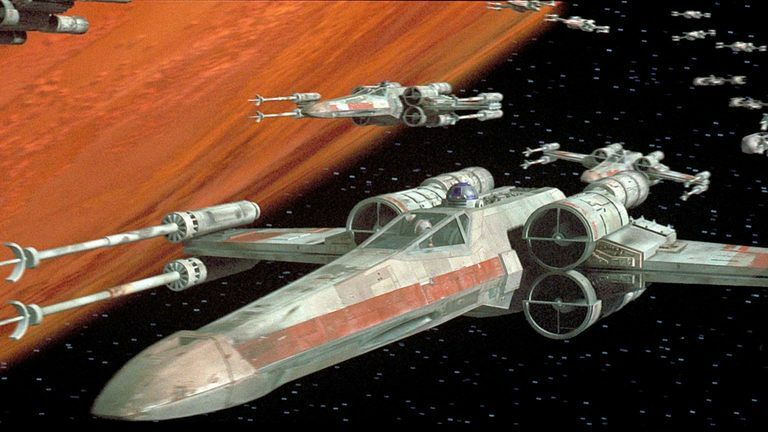 Ive played something of a demo game where 2 x-wing, one piloted by luke skywalker, took on a squadron of four tie fighters. Simple setup with minimum upgrades, pilots and special rules to not bring too much at once. Even such a small and very basic skirmish proved to be very exciting. Basic mechanic of manuvers which are declared secretly by each player at the same time makes an exciting guessing game of who goes where and what should i do to get in to advantageus position while not getting into someone elses crosshair. Its very simple and yet keeps everybody pinned to the table. Turns are rather short and units go one by one depending which pilot have better skill. That prevents players from getting bored while waiting for oponnent to complete all his moves. Also what i found an interesting change is that despite its more a wargame than board game you dont use any rulers. Instead you use a set of predefined movement templates. Makes things more tidy and precise. I really liked this first try and will definitelly be back for more, probably even buy a starter or two in the near future.